Local authority funding for supported buses has been halved since 2010, leaving many parts of England and Wales without public transport, campaigners have said. A new report from the Campaign for Better Transport has found that council bus budgets in England and Wales were cut by £20.5m last year — the eighth year in a row budgets have been cut. The report, entitled Buses in Crisis, also warned that since 2010/11 supported bus budgets in England and Wales have been reduced by £182m. This amounts to a 45% cut. ‘Our latest report confirms that the slow death of the supported bus continues, with local authority bus budgets suffering yet another cut this year,’ said Steve Chambers, Campaign for Better Transport’s public transport campaigner. Buses in Crisis shows that the latest cuts in funding have meant 199 routes were altered or completely withdrawn last year, with a total of 3,347 routes altered, reduced or withdrawn in the last eight years. This has ‘huge implications’, said Mr Chambers. 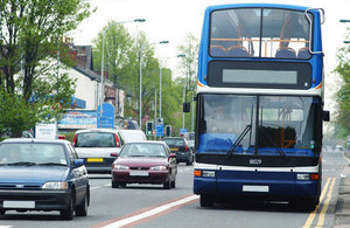 ‘It can prevent people accessing jobs and education; have an adverse effect on the local economy with people prevented from getting to shops and businesses; affect people's physical health and mental well-being; and has an inevitable effect on congestion and air pollution as more cars jam up our roads,’ he said. However, he warned that councils were struggling to subsidise bus routes due to Whitehall funding cuts. ‘It’s nearly impossible for councils to keep subsidising free travel while having to find billions of pounds worth of savings and protect other vital services like caring for the elderly and disabled, protecting children, filling potholes and collecting bins,’ he said. ‘Faced with significant funding pressures, many across the country are being forced into taking difficult decisions to scale back services and review subsidised routes.’ ‘The way the concessionary travel scheme is funded by Government has not kept up with growing demand and cost. Councils are being forced to subsidise the scheme by at least £200m a year,’ Mr Tett added. The Campaign for Better Transport called on the Government to introduce a National Investment Strategy for Buses and Coaches, backed up with long-term funding. Cllr Tett also added that Whitehall should properly fund national free bus pass schemes and give councils control over the Bus Service Operators’ Grant, a fuel duty rebate currently paid directly to bus operators.